From the author of the widely acclaimed debut novel Seating Arrangements, winner of the Dylan Thomas Prize and the Los Angeles Times Book Prize for First Fiction: a gorgeously written, fiercely compelling glimpse into the demanding world of professional ballet and its magnetic hold over two generations. 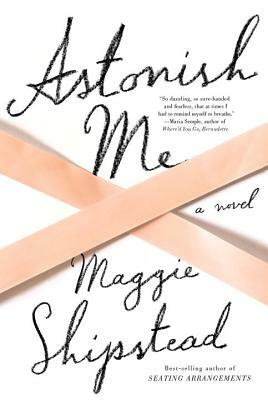 Maggie Shipstead is a graduate of the Iowa Writers’ Workshop and a former Wallace Stegner Fellow at Stanford University. Her first novel, Seating Arrangements, was a New York Times best seller, a finalist for the Flaherty-Dunnan First Novel Prize, and the winner of the Dylan Thomas Prize and the Los Angeles Times Book Prize for First Fiction.